To date the modem has been intended strictly for Huawei's own products, Engadget noted. The chance of sales to Apple was mentioned by a "source with knowledge of the situation," the site said. Assuming Apple would be willing to work with Huawei, the soonest the Balong could make it into an iPhone is 2020. 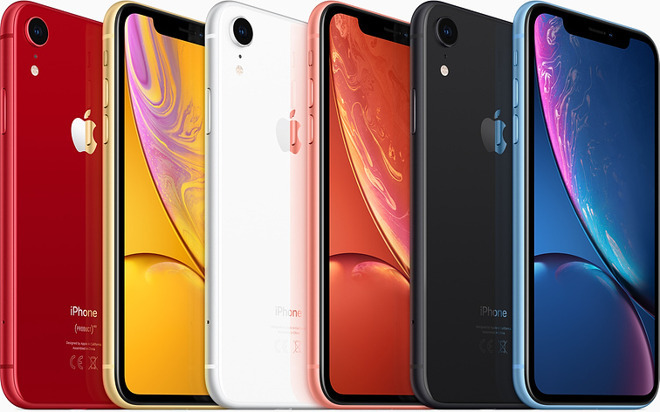 2019 iPhones are likely being finalized if they haven't been already, and it's widely reported that they will continue to use 4G Intel chips given that company's slow 5G development. In practice it's extremely unlikely that Apple would turn to Huawei, not the least because the U.S. has blocked the use of Huawei equipment by federal agencies, considering it a security threat in light of ties to the Chinese government. Indeed there's been a push in Europe and North America to keep Huawei out of 5G infrastructure, though that wouldn't necessarily impact modems. The firm has also been accused of cloning Apple components and even rewarding its staff for stealing technology. Sourcing 5G modems would theoretically expose Apple further. The iPhone maker is thought to be developing a proprietary modem for launch in 2021. In the interim it could theoretically turn to companies like Samsung, MediaTek, or even Qualcomm, which recently said it's ready and willing despite ongoing legal battles. The chipmaker already has modems going into Android devices like the Samsung Galaxy S10 5G. Now with embedded spy chip! The Brits are happy enough to use Huawei. Personally I can't see it happening but I'm in the camp who prefers 'never to say never'. I think there are easier options still open to them. Huawei have even admitted to this and have promised an improvement programme. Given the other members of the Five Eyes alliance have banned Huawei from 5G networks, I’m pretty sure the U.K. will do the same. I like my 4G device. Dont know what 5G will do. Make really fast a touch faster? Why would any liberal democracy trust in a company like Huawei so well entrenched in the CCP. Buy Samsung, Nokia and Ericsson. Exactly my thought - if it had it, would you buy it? Actually, I’m sure it would sell well enough; the general public is totally oblivious to many things, and a lot of people would see “5G” and buy. Not unlike the AT&T 5Ge scam. Yes, that’s the real question. A lot of people are hopping up and down about getting 5G, saying how it’s absolutely necessary for the future, but I haven’t seen any mobile phone applications that actually require the capabilities 5G; the speed and latency possible with 4G is more than adequate. As near as I can tell, the only benefit for mobile users is that the cell towers will have a higher bandwidth so more people can connect to a single tower without experiencing throughput issues. I haven’t seen whether you actually need a 5G device to get this benefit, though. If all of the infrastructure will make it so I can consistently get full 4G speeds, I’ll be happy. I haven’t seen this written anywhere, but to meet the claims of 5g, it appears the providers will need to put a lot of money into upgrading the backbones of their networks. This will likely benefit everyone, whether they have a 5G device or not. It would be best not to suspect intelligence in the British political class these days. They have spent two years unable to work out why the peasants are revolting. Do you think anyone trusts anyone else? Huawei is the top communications backbone infrastructure manufacturer - worldwide. That's a lot of countries. The only thing that has changed is a campaign by the US government to try a prevent Chinese communications technology leapfrogging US efforts and gaining tech influence. Much of the rest of the world is basically saying 'tough luck'. They don't really care about who has telecommunications dominance unless it is them, and it isn't. They care about products and cost. 17 hours ago Donald Trump told the Spanish Prime Minister to ban Huawei. He was swiftly rebuffed and Pedro Sánchez made it clear that that wasn't going to happen. Huawei is a couple of years ahead of the game in 5G. It would cost governments BILLIONS to change tack on Huawei at such a late stage. And, in spite of repeated requests, no evidence supporting the US claims has ever been provided. Not even to, erm, 'allies' who the US is spying on anyway! We know this for various reasons, not least Edward Snowden. But that has nothing to do with Huawei anyway. A "touch" faster? I've been reading about the new 5G network in Chicago and it's 6 times faster than the fastest iPhone XS. Things like Apple TV+ will need 5G. I'm worried that Apple will have a two year lag time on one of the most important features of a smart phone, speed. iPhones will be six times slower than Android phones from fall 2019 to fall 2021. That's two years, which in the high tech business is ten years. Huawei's offer is a political statement. If Apple accepts Huawei's 5G modem offer than Huawei tells USA government that if US company like Apple can trust us than you should. It would be slap to US government. That opens up huge market for them. So, before trusting Chinese, trust your enemy. USA government would not allow it. Bigger question is company like Apple, how it could not see Intel's track record and put it's own engineers to create own 5G modem when we all know 5G is upcoming important tech. I think the 'Brits' are a wee bit distracted these days with Brexit to make a rational decision on ... well just about anything. Charge you more money!!! Verizon is charging another $10 a month for 5G. I don't see the point of 5G. At leastnot in a phone. There's nothing I can't do now with 4G that I can think of. It's like getting faster speed from the cable company. OK it's faster, but I still have the 1TB cap and will just hit that faster so you can charege me more and more money as I go over. Why would I want to pay for faster service if I'm going to end up paying even more when I'm not going over the cap? Since the days of dial up modem. The faster you go, the more Data you consume. It never stays the same and you just get your stuff faster and then are done sooner. That has never been the case. I'm not going to pay more for faster 5G service that really doesn't do anything for me. I can already stream Netflix and Youtube, etc. That's about the most taxing of Data Streaming my smartphone will ever get. Since I can do that already, what else do I need even faster speed for? Lol they are selling to apple because they got it from apple. You’re welcome for the Chi by the way. It’s a political statement, but never say never. If a deal can be reached protecting IP and privacy... stranger things have happened. Apple may be looking to license IP from just about anyone to make their own in-house modem. Once they have a working product they could slowly remove others IP as they replace it with their own. Apple has been willing to work with Samsung who was their archenemy, or maybe their frenemy. Working with Huawei isn’t likely, but it might be good PR in China where Apple’s sales is struggling. If they got it from Apple why are there all these rumours of them having trouble sourcing a 5G modem? Obviously that never came from Apple did it? By the time 5G even remotely becomes mainstream, it will be 2020, if not 2021. This "rush" is just made-up nonsense. That "test" in Chicago was a roller-coaster of reliability. Again, 5G doesn't do squat for the majority of users for a couple more years. Each one of these seem like a possIble “deal with a possible devil”, but may be a required path. Recall though that Apple has this same problem at the very beginning of the iPhone. They shipped a 2G model when 3G was coming to market. At the time, despite having plenty of Apple products at home, I bought my last blackberry, which happened to be 3G and thus I was stuck in a 2 year contract. My first iPhone was the 3GS. In today’s reality, 4G is still “good enough” for Apple to use until later 2020 because the true use cases for the speed benefits of 5G are still materializing. Apple has done this strategy time and again. When 5G is prevalent, we may still be getting robbed by the rates that most US carriers charge. Thus, it will be just a faster rush to hitting a data cap. 5G’s true promise may be for in the home, giving the Comcast’s of the world a true run for the money with consumers wanting data access. If the carriers are smart, they will realize that they can do much the same with in home options as they have been in killing off traditional land line phones for many homes. They would just help many to truly cut the cord. This will require easing data caps and reducing throttling of connection speeds. One last thought- there is a time when we may all have high bandwidth needs but the infrastructure of the internet can’t truly handle the load, regardless of how we connect to it. It will be like a Ferrari stuck in rush hour traffic. Or the earlier days of the AT&T network when it was the only option for the iPhone. The peasants don’t like being referred to as revolting!